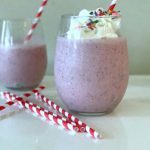 Berry Banana Funfetti Milkshake – A great milkshake the whole family will love to make together. 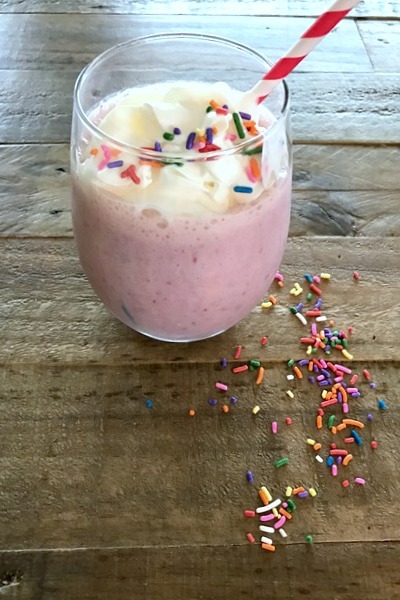 Creamy, dreamy, funfetti delicious, enjoy every last sip! You can’t beat a good milkshake. My family loves going out to our local diner where they happen to make a yummy vanilla milkshakes. I know, sounds so boring but, they just know how to “shake” things up and make a really good one. It’s kind of expensive though. I found it’s so easy to make any flavor at home for a fraction of the cost and to be truthful, ours is just as good or better than the diner. This one recipe is my husbands favorite. He likes the combo of strawberry and banana. I knew I had to jazz it up so, here is my version that we all love. 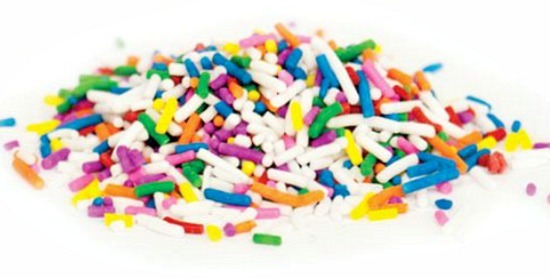 The sprinkles add the best color and texture. 3 medium to large chopped frozen bananas, this is very important for a thick milkshake. Freeze for about 4 hours or overnight. Place frozen chopped bananas in a strong blender such as a Vitamix or Bullet. Add milk and vanilla. Start on low and then work up to high. The bananas will be nice and thick like ice cream. Add in strawberries. Whirl. Add more milk if needed for desired thickness. Add frozen yogurt if using and whirl again on medium. Add in sprinkles, whirl on low just to mix in. Pour into glasses, top with whipped topping and a few more sprinkles. Berry Delicious! 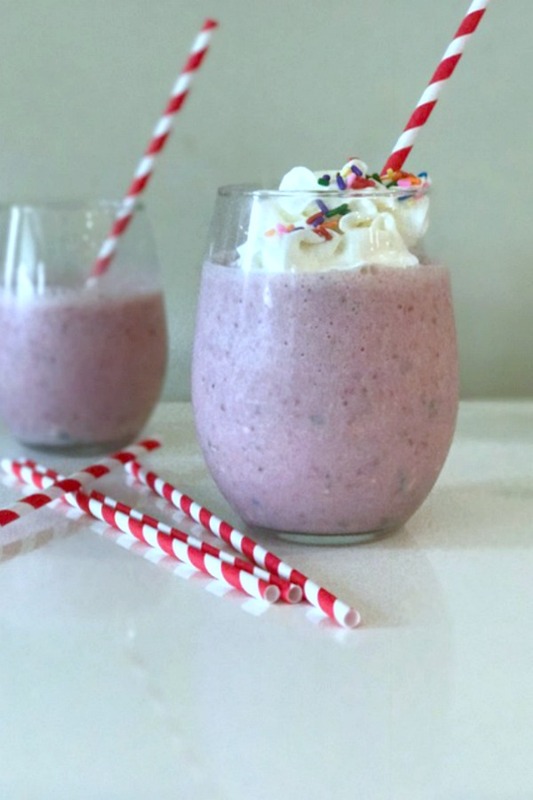 A great milkshake the whole family will love to make together. Enjoy every last sip! 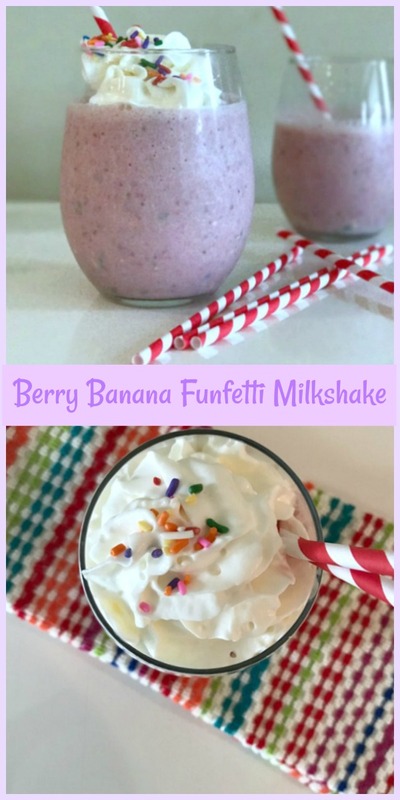 3 medium to large sliced or chopped frozen bananas, this is very important for a thick milkshake. 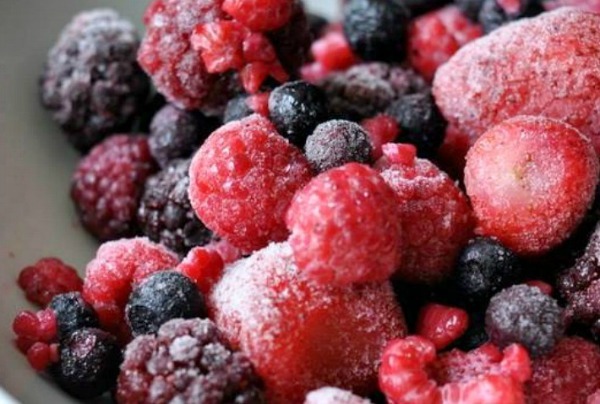 Freeze for about 4 hours or overnight. 3/4 cup very cold milk, I used vanilla almond milk for this recipe. You can use any milk of choice. Whole or low fat works. Skip the skim milk for this recipe. 1.Place frozen bananas in a strong blender such as a Vitamix or Bullet. Add milk and vanilla. Start on low and then work up to high. The bananas will be nice and thick like ice cream. Add in strawberries. Whirl. 2.Add more milk if needed for desired thickness. Add frozen yogurt or ice-cream and whirl again on medium. 3.Add in sprinkles, whirl on low just to mix in. 4.Pour into glasses, top with whipped topping and a few more sprinkles. Enjoy! Oh so creamy and luscious!